Plagued by paper clutter? You are not alone! Questions about how to organize papers — school papers, bills, mail, kids’ artwork, magazines, important documents — are among the most frequently asked questions at simplify 101. 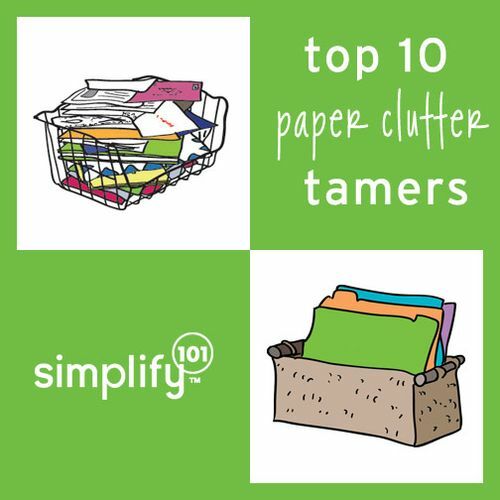 We pulled together for you 10 of our top paper clutter tamers with just a bit of explanation. And if we blogged about these before, we link back to that original post, too. The paper comes in, and then where does it go? Establish a conveniently located inbox to catch the incoming paper so it doesn’t accumulate on your table or counter-tops! 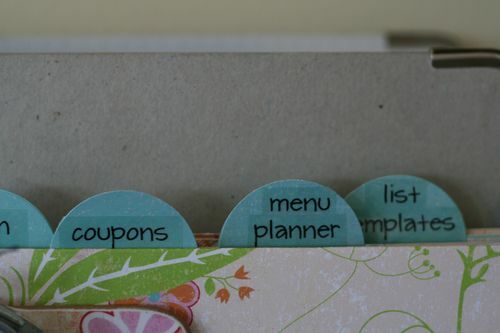 For paper that requires action, create an action file like this one in Aby’s kitchen. When papers require some sort of action but are also partially for reference, like organizing checklists or chore charts, clipboards are a fantastic solution. 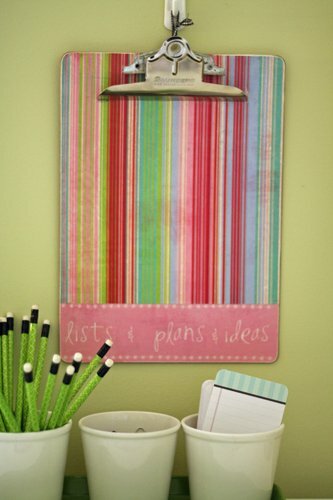 Paper on a clipboard can be hung up, carried from room to room or even store to store. Handy, yes? Some types of paper, like school lunch menus or club newsletters, don’t require action on your part. You can put them “away” but still need them in a place where you can easily refer to them. That’s where the home management binder comes in. Seriously, if you do only one thing to tame your paper clutter, do this! 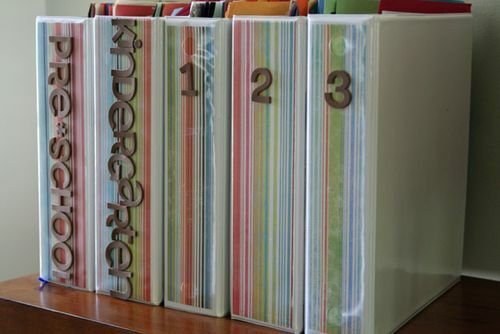 While the reference binder is multi-purpose, you can also create more specific binders. 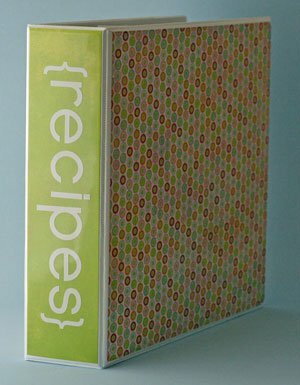 A recipe binder is a great place to corral your family’s favorites in one, easy-to-access place. Organizing kids’ artwork and school papers is definitely among the top paper clutter challenges we see. Artwork binders can be a smart solution for this dilemma, too! Now that you have fallen completely in love with the binders, here’s yet another idea. Put all those magazine articles, notable quotes, fabric swatches and color samples in an inspiration or decorating ideas binder. When you are not dealing with hard copies or actual samples of things, Pinterest can act the same way, allowing you to organize your “Pinspired” ideas while adding zero clutter to your home! For many people, keeping those inspirations, plans and goals in sight is key to helping them achieve their goals. 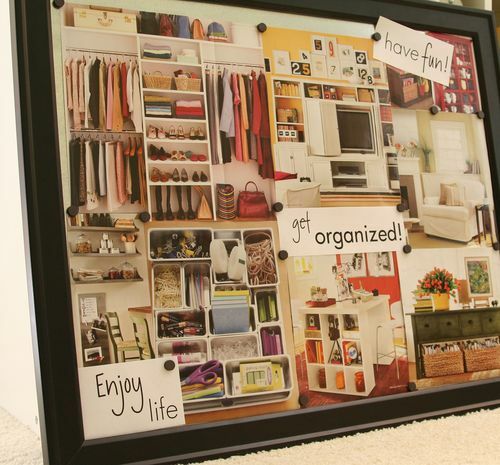 Goals or Inspiration Boards can be a fun way to keep things visible without creating paper piles. 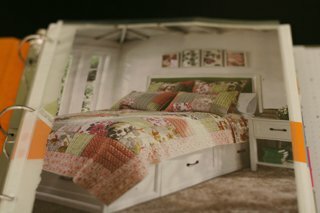 Now, how about those sentimental tidbits or memorabilia that you want to hang onto without causing clutter? 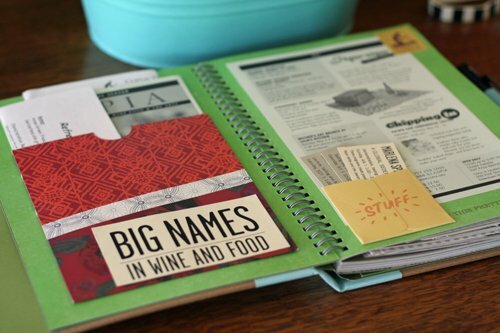 SMASH books are a super easy way to compile things you love into a scrapbook of sorts. For papers that require filing of any sort, altered file folders can add instant zip so that the files look lovely (not cluttery) in your action file or on your desk. Hey I found you via Pinterest. This is a great article going to retweet it! Thanks! 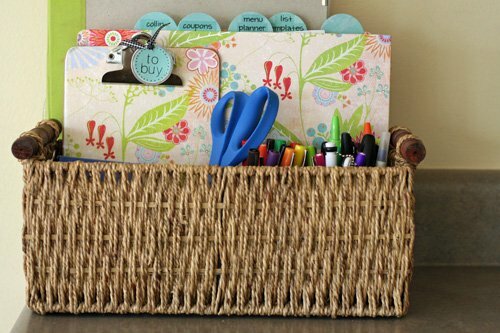 These are some frugal ways to get organized. Thanks so much for sharing retweeting the article! Happy organizing and saving. I love your organization style! Organization doesn’t have to be strictly utilitarian. You help me realize that it can be fun and cute and crafty! I especially love this post. Most of my clutter – probably 98% of it – comes from loose papers floating around. As a writer, it’s hard to avoid. But you give some ideas that will add to my decor rather than detract from it, all the while wrangling my stacks of notes and stories. Huge question! 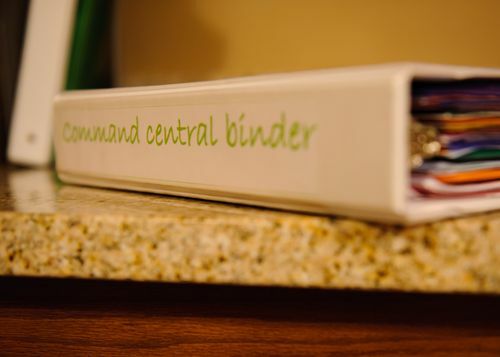 How do you decide what to put in the reference binder from what to put in the action file? It seems like a lot of stuff crosses over and could be put into either or. How do you guys decide? 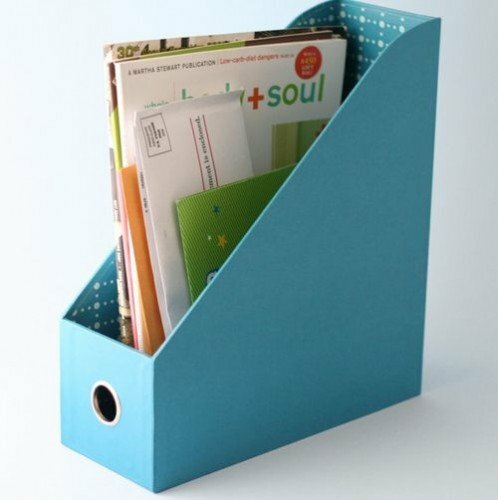 Yes we can make some storage boxes at home only to store items. We can use some baskets and can paint them. And can use bags to hang on windows , which can save most of the tiny items. @Michaela, what a terrific question. How I decide is that if it is something that requires a step on my part (a form to fill out, info to put on my calendar, a phone call to make) it’s an action item. If it is something I just need to refer back to (library hours, school newsletters, sports schedules), I put it in my reference binder. There are quite a few papers in my house that move from action to reference. Does that help?